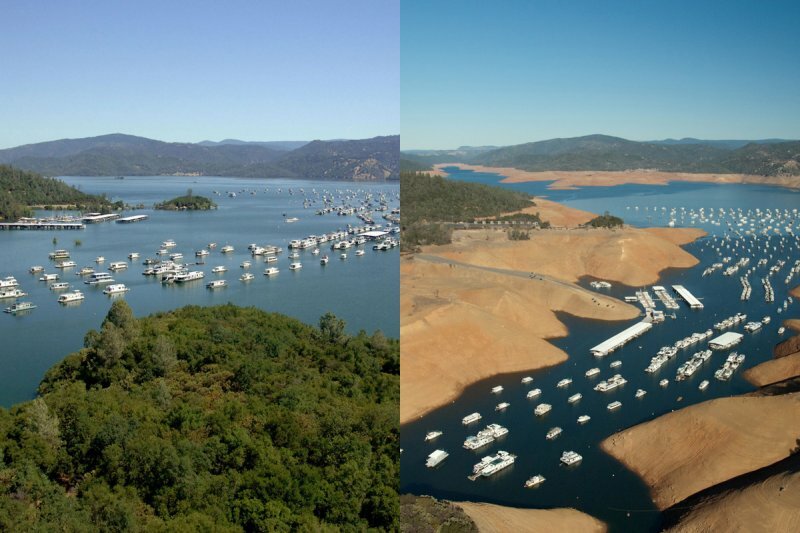 California’s “exceptional drought” isn’t exceptionally bad any more. Winter storms have been good for the state, pulling it out of the worst rating from the U.S. Drought Monitor. CNN reported on Jan. 26 that the drought has rapidly and significantly improved, and may even be declared over in the near future – that for the first time in 36 months, no part of California was under “exceptional drought.” It also showed that only a small portion of the state still in “extreme drought,” but cautioned the drought is not “officially over” yet. But with nearly twice the normal amount of snowpack for the time of year, there were reasons for optimism. However, this “huge improvement” barely registered with the broadcast networks that had blamed climate change for the crisis. NBC’s Today was the only network news show to mention the change in California’s drought conditions between Jan. 24, and Jan. 31, even though the three networks and many other media outlets had covered the drought often in the past. The broadcast networks – NBC, CBS and ABC – had claimed California’s three-year drought was unprecedented and “historic,” in spite of experts who refuted those claims. Wired magazine warned in May 2016, “California’s Drought Is Probably Forever” in spite of El Nino. ABC News correspondent Neal Karlinsky said there was “no end in sight” for the drought in July 2015. National Geographic online warned of an even worse drought than the state was already experiencing.“Worst Drought in 1,000 Years Predicted for American West,” the headline read. The prediction was that global warming would cause an “historic” “megadrought” by 2,100. The broadcast evening news shows aired 53 stories about the California drought in early 2014 and more than 60 percent of them portrayed it as “historic” or record-breaking. But an NOAA scientist refuted that idea in a New York Times editorial saying the drought “resembles” 1970s droughts. Climate researcher Dr. Martin Hoerling of NOAA [National Oceanic and Atmospheric Administration] told MRC Business “I don’t think it’s unprecedented” and criticized “collective amnesia” for the claims. He said that the drought was consistent with previous California droughts. “Thus, preparedness is key,” said Richard Seager, the lead author and professor with Columbia University’s Lamont Doherty Earth Observatory. 1. Over the past three years, hundreds of news stories have been aired/published about California’s “unprecedented” drought. Why do you think the fact that as the drought, which was reported as “the new norm,” is coming to an end, it’s not big news? 2. What type of bias is the excerpt an example of? 3. Why do you think this is not a national news story? 2. Bias by story selection (also omission or placement).